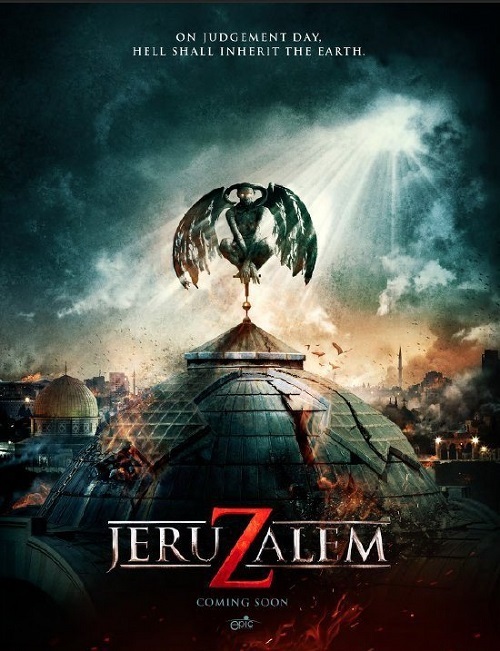 JeruZalem (2015, Israel, dirs. Doron Paz, Yoav Paz)—Hell hath no fury like a malfunctioning pair of Google glasses. There have only been three Israeli entries in all the years of Fantasia’s programming, and the Paz Brothers’ JeruZalem (2015) is, allegedly, Israel’s first true horror entry. Apparently young Israeli filmmakers are itchy to develop genre filmmaking in their homeland to escape traditional dysfunctional family dramas and war-torn narratives. Does this presage a boom for genre filmmaking in Israel? If so, will we have to bear the reinvention of the wheel and a rash of knock-offs before gaining any true traction? It’s anticipated that each country has its own cultural legends to enhance boilerplate scripts, and JeruZalem’s assertion that one of the entrances to Hell lies beneath the Holy City is a promising premise, though more accurately the film’s true Hell lies behind an annoying choice to rework the already mined-to-death “found footage” trope by way of a woefully misguided decision to film the entire movie through the point of view of a lead character’s Google glasses. Ugh. Sure, this affords effective comic relief now and again (particularly through face recognition software that struggles to identify demons in the dark), but I came to scream not giggle, and have lost all patience with jiggling hand-held camera work rationalized as cinema verite. It doesn’t make it more “real”, kids, it makes it unwatchable. The Paz Brothers assert that they want audiences “to see up close what the resurrection may actually look like” but most of the time is spent running into stone walls in the dark with streaking lights and blurred focus and malfunction warnings from the POV Google glasses. Maybe that’s a techie’s version of the Apocalyse? Malfunctioning Google glasses? To each their own Hell? Casting is predictable. Privileged young beauties, male and female, making stupid decisions. Even the harbinger—one of my favorite stock characters in horror films—is turned into a clownish overweight King David wannabe. JeruZalem becomes yet one more entry in a recent trend in “cyber-decoupage” that stacks online social network platforms, text messaging, facial recognition software, SKYPE, you name it, to approximate contemporary communication practices. But these rich American Jewish girls who vacation in Jerusalem for Yom Kippur just to get laid by locals in hostels deserve every pitchfork coming to them. It's hard to care about what happens to them when their behavior is fundamentally unattractive. The hastened exit from the auditorium by the film’s World Premiere audience was revealing. Very few wanted to hear any excuses or rationalizations for this disappointing and cliché enterprise. I doubt that duplicitously gaining access to Jerusalem’s holiest centers of worship to shoot a horror film guerrilla style is going to do much to advance mainstream acceptance of genre filmmaking in Israel. World Premiere. IMDb. Facebook.